I often read more than one book at a time, varying the genre depending on my mood and energy. At night, when I’m tired and want something that will blanket me in sweet dreams, I'll often choose a love story. But in the daytime, I’m more likely to read to deepen my knowledge on a particular subject, so I’ll grab some historical nonfiction, a memoir, or a psychology tome. Lucky for eclectic readers like me, this month’s Literary Mama staff recommendations provide plenty of variation to choose from, with a cross-cultural love story, a food memoir, and an absorbing read about the natural sciences. Jamie Sumner, our new Reviews Editor, will awaken your taste buds with her suggestion. "I am not a chef or a cook. I cobble together whatever food I can that my kids will eat with minimal complaint. 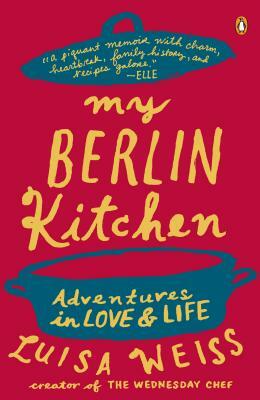 But I’ve never wanted to get in my kitchen more than I did after finishing My Berlin Kitchen, by Luisa Weis. As a child born in Berlin to an Italian mother and American father, Weiss explores her heritage using food to knit those cultures together. And every dish has a story. The depression stew invented by her father carries her through lonely days in Paris. The Sicilian pizza, with its thick squares topped with anchovies and escarole, takes her back to summers spent in Italy with her uncle as her own personal chef-in-residence. The käsekuchen (German cheesecake made with quark) reintroduces her to Berlin when she finally returns after years in New York. Each chapter ends with a recipe, and I found myself wondering if I too could make elderberry syrup, and what it would be like to have my kitchen smell like spiced plum cakes. It is a love story for food, and a chronicle of Weiss’ own reinvention of herself. It’s beautiful—and definitely best read with a cup of coffee and a snack." 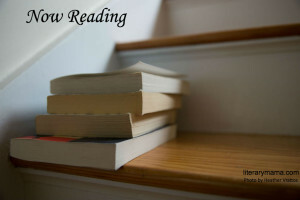 Senior Editor and Profiles Editor Christina Consolino shares her latest read: "Novels set in the 1980s fascinate me, especially when they revolve around a culture I know very little about. 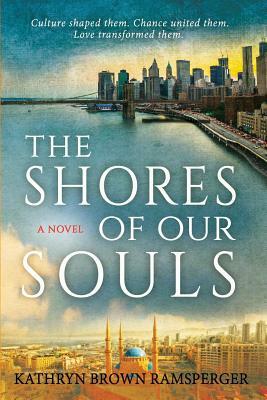 Kathryn Brown Ramsperger's The Shores of Our Souls is one such book. Using both first and third person points of view, Ramsperger lets us fully into the story of Qasim and Dianna, while at the same time maintaining a distance that made this reader pause and appreciate the author's intentions. Qasim, an Arab Muslim United Nations official, has fled war-torn Beirut, Lebanon, years before he meets Dianna, a researcher for New York City's Metropolitan Museum of Art. When we first encounter Qasim and Dianna, each character seeks companionship, acceptance, and of course, love. Due to a clash in cultures, religion, and ages, as well as a feeling of responsibility toward family, realization of that love may never come to fruition. While the story is set in New York City, Ramsperger manages to keep the conflict in Lebanon present, which heightens an already tension-filled narrative. She also includes a bit of commentary on US politics at the time, but doesn't linger on the topic, instead letting the love story of Qasim and Dianna unfold without interruption." 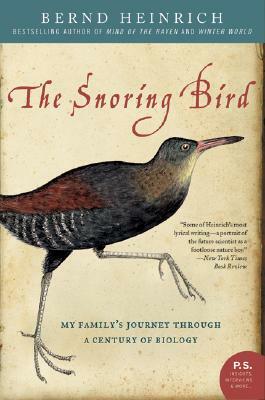 Andrea Lani, Literary Reflection Editor, recommends a unique volume: "I've had The Snoring Bird: My Family's Journey through a Century of Biology by Bernd Heinrich on my shelf for a few years, but was reluctant to start reading because I didn't want to commit to such a thick book. Last month, after a friend told me the book is a page-turner, I finally dived in and tore through all 480 pages in a week. Heinrich, who is famous for his books on ravens, trees, and bumblebees, tells the story of his father, a naturalist of the early twentieth century with an obsession for ichneumon wasps. I know that doesn't sound engrossing, but when not mounting wasps the elder Heinrich experiences various brushes with death: as a pilot in World War I and II, while collecting specimens in far-flung jungles, and when escaping Poland ahead of the Red Army. The book follows young Bernd through his childhood in an enchanted forest in Northern Germany, a farmhouse in Maine, and the orphanage where his parents placed him and his sister while they went to Africa on collecting trips. The book is a fascinating study of the evolution of the natural sciences from taxonomy to microbiology, of the world wars from inside Central Europe, and of the parent-child relationship in a very unusual family. And it is a riveting read." What are you reading now? And how many books do you read in one go? Leave a comment below or tweet us @LiteraryMama. Follow us on Goodreads for more inspirational reads.